The board of Tata Sons is likely to meet Friday to discuss a proposal to take over the Naresh Goyal-controlled Jet Airways, which is looking for investors to tide over liquidity crunch that it has been saddled with, according to people familiar with the development. Airline's deputy chief executive and chief financial officer Amit Agarwal earlier this week had admitted that the company was in talks with "multiple interested parties" for fund infusion as well as selling six of its Boeing 777 planes and a stake in its loyalty programme Jet Privilege. Now there's someone else who has appreciated some of Modi's reforms. Aditya Puri, Managing Director of HDFC Bank, has said that reforms like demonetisation and GST were good initiatives and that the argument of 'no jobs' in the country was not correct. HDFC Bank, which is the largest private bank in India, is putting a major focus on semi-urban and rural areas, and that half of its business now comes from these areas, he said. 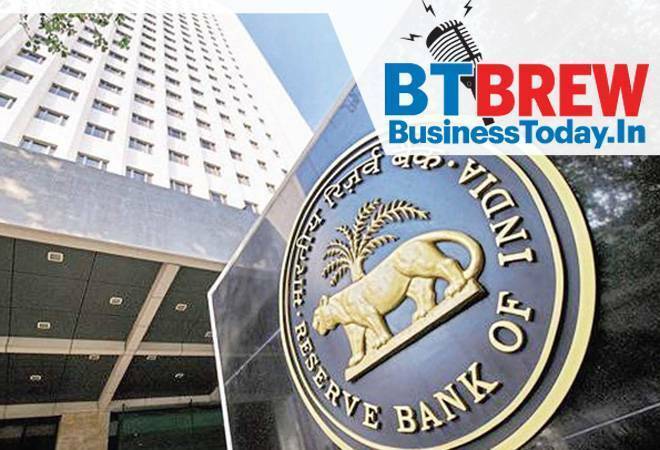 Indian banks could be recapitalised with government bonds, said an independent director on the central bank's board on Thursday. S. Gurumurthy has been a vocal member on the RBI board asking for easier lending and capital restrictions for Indian banks and more cash for small businesses. One way for the government to increase capital adequacy in state-run banks under Basel 3 regulations is to increase equity capital on one hand and sell sovereign bonds to the lenders on the other hand. Talking of innovative solutions to tackle air pollution in India, Swedish furniture brand IKEA will turn rice straw, a rice harvesting residue that is traditionally burned and contributes heavily to air pollution, into a renewable material source for the IKEA products. The initiative has been taken under IKEA's 'Better Air Now' initiative to tackle the most critical issue of pollution, especially in the northern India, which comprises nine out of 10 most polluted cities in the world. The company has said that the first IKEA product prototype, which will be based on rice straw, will be ready by this year end. The products will be officially sold in IKEA's India stores in 2019-2020. Facebook said Thursday it was severing ties with a political consultancy that sought to discredit critics of the social networking giant using questionable campaign-style tactics. The California-based company's announcement followed a lengthy New York Times investigation detailing Facebook's struggles with its image as it came under scrutiny for its handling of Russian-led misinformation efforts. All telecom operators, except Reliance Jio, failed to meet call drop benchmark in drive test conducted by sector regulator Trai on different highway and rail routes. The Telecom Regulatory Authority of India said that independent drive tests through its appointed agency was conducted on eight highways and three rail routes.